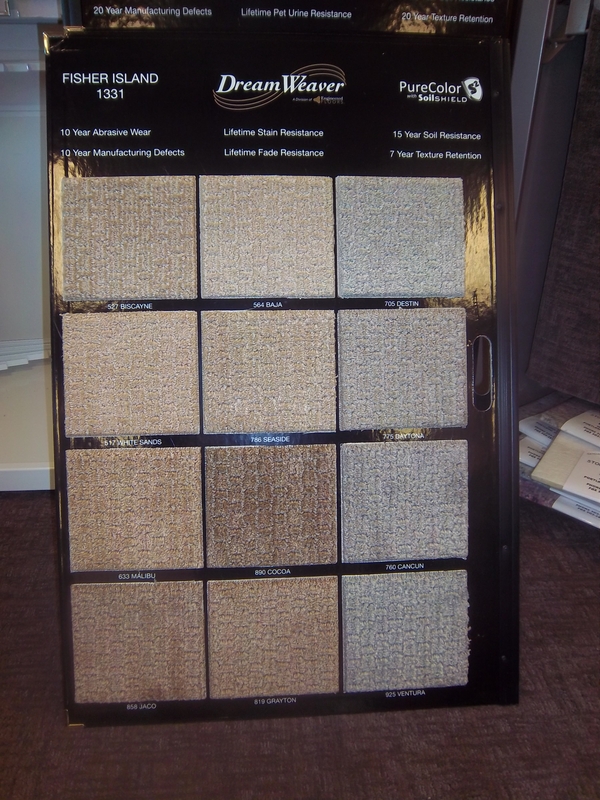 One of our most popular designs is a carpet from DreamWeavers. Fisher Island is only 17.95 a SY or 1.99 SF. Installed the price is 29.95 SY or 3.33 SF using our best 8# 7/16″ foam pad. 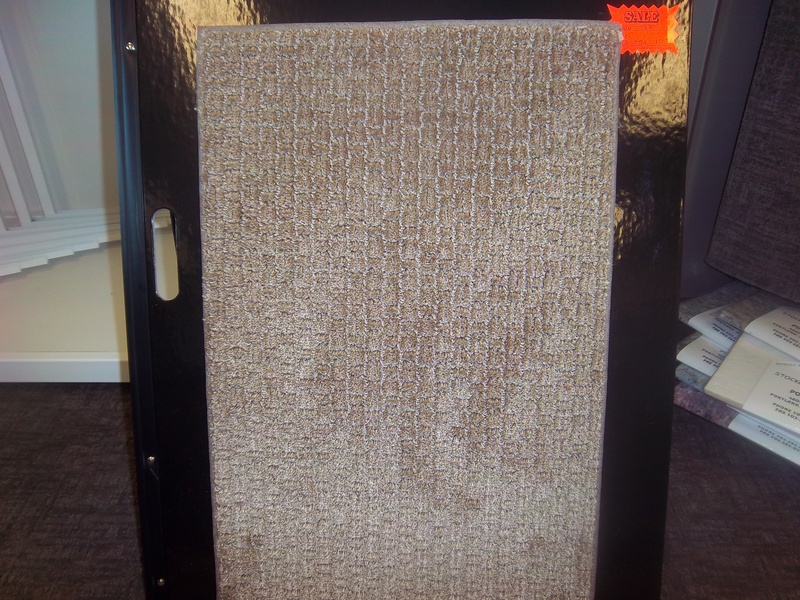 This is a perfect low-pile carpet for medium traffic areas, dens, & bedrooms etc. The color palette is neutral for a look that will not go out of style. The pattern is a subtle basket weave. Always remember that we have to order a bit more yardage for patterned berbers. We can only side seam berbers unlike the plushes that can be seamed on all sides.